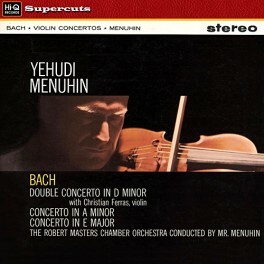 This classic LP of the Bach Concertos was recorded when Menuhin was in his early 40s and in his prime. Audiophile cut at Abbey Road Studios from the original stereo EMI Master Tapes, the Bach Concertos were recorded at London’s famous Kingsway Hall venue in 1958 and 1959, produced and engineered by Peter Andry and Robert Gooch. 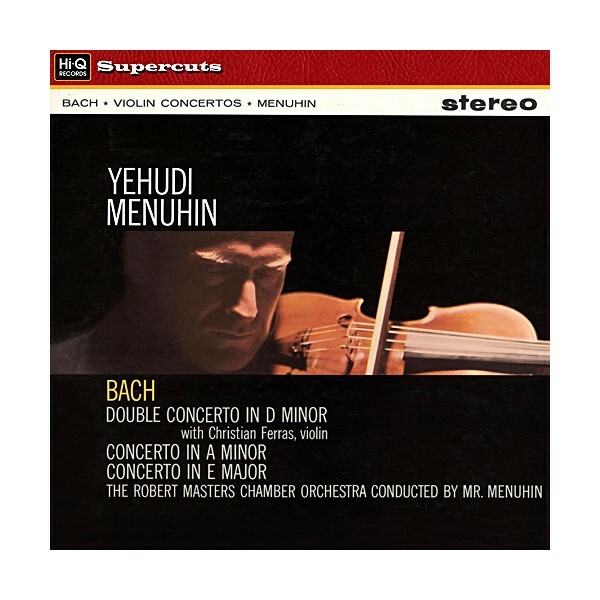 A minor and E minor Concertos recorded October 7 & 8, 1958, at London’s famous Kingsway Hall. Double Concerto (with the legendary French violinist Christian Ferras) recorded on July 8, 1959.